The film is free to use in a classroom setting and comes with tools for teachers, parents, and teens. Feel free to download the short film musical. 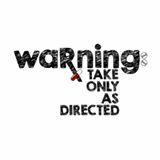 Warning: Take Only As Directed has been edited to provide five (5) film segments suitable for use in a classroom setting. The total film is 26 minutes in duration and the three (3) to six (6) minute segments are provided as a teaching option. These five segments are show below. They can be played directly from the links provided. Warning: Take Only As Directed - Part 1 "Friday Night"
Warning: Take Only As Directed - Part 2 "Pills"
Warning: Take Only As Directed - Part 3 "Prescriptions and Consequences"
Warning: Take Only As Directed - Part 4 "Prescription Cocktail"
Warning: Take Only As Directed - Part 5 "Crash"
Trish Glowacki is a thespian, writer, and songwriter. Trish has written many short stories and is working on a novel and memoir. Her first musical, WARNING: Take Only As Directed, has been adapted for the screen. As an actor, choreographer and director over the years, Trish honed her skills at Adventure Theatre, a theater for young audiences, in Glen Echo, Maryland. Her most notable acting roles include Little Red Riding Hood and Chicken Little. Trish has served on many different boards in the D.C. area and is involved with several volunteer organizations. 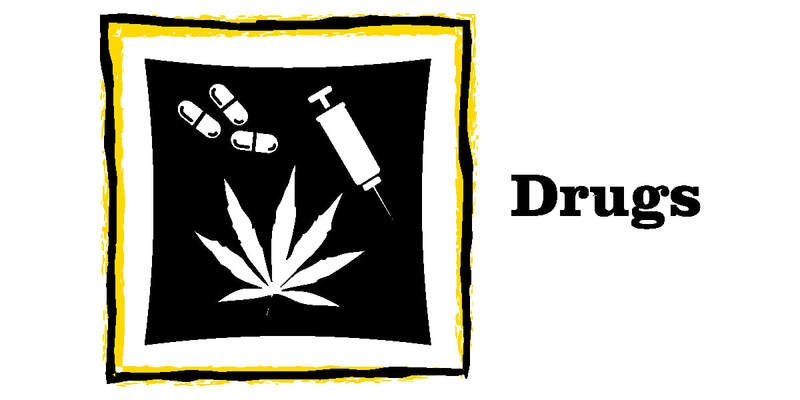 Raising awareness about the dangers of prescription drug abuse is her current major focus. Trish and her husband, Tony, live in Washington, DC. Their children are in various stages of college. James Gardiner is a director, writer, filmmaker, editor, publicist and professional actor. He wrote the book for Glory Days, which premiered at Signature Theatre in Arlington, VA and transferred to The Circle in the SquareTheatre on Broadway. At the age of 23, he was one of the youngest librettists to have his work produced on Broadway. Mr. Gardiner’s work has been produced commercially in Japan, Australia and has appeared regionally throughout the United States and Canada. As a filmmaker and editor, he creates marketing content for non-profit theatres like the Tony Award winning Signature Theatre and The Helen Hayes Awards. As an actor, he has appeared at The Williamstown Theatre Festival, John F. Kennedy Center, Signature Theatre, Ford’s Theatre, Studio Theatre, Olney Theatre Center, Round House Theatre, Folger Theatre, and Everyman Theatre. He was the recipient of the 2014 Helen Hayes Award for Outstanding Performance by a Lead Actor in a Resident Musical. He is a proud member of Actor’s Equity Association and The Screen Actors’ Guild. Diana Villamor has been immersed in music since she started playing the piano at the age of five. She holds a degree in Music Therapy, which has deeply influenced her work as an educator in the DC area for 25 years, both as teacher and administrator. Diana also teaches piano, guitar and voice; her students have gone on to write musicals and perform on The Voice. She currently runs her B & B in West Virginia, where she continues to teach and is keyboard artist with Douglas Falls The Band, whose Appalachian tunes bear a contemporary twist. Collaboration is a hallmark of her work and she has enjoyed composing the music with songwriter Trish Glowacki for this film. Chris Wonzer is a music producer who has been professionally involved in the business for over 20 years. In this time he’s worked in various capacities on over 70 major label releases (19 certified platinum) and over 25 indie records. He’s worked extensively with many other successful producers such as Linda Perry(Christina Aguilera, Pink, 4 non blondes) and Ron Fair (Christina Aguilera, The Pussycat Dolls) to name a few. He’s worked with artists like Christina Aguilera, Macy Gray, Enrique Iglesias, Black Eyed Peas, and many more in his career. Rami Jaffee is a multi-Grammy winning keyboardist and composer best known for his 25 years in The Wallflowers and more recent decade with Foo Fighters, both selling millions of records. Aside from his main two bands, Rami plays on thousands of other hit records that are as diverse as Johnny Cash to Macy Gray, Ziggy Marley to Keith Urban, John Mayer to Fiona Apple. Brian MacLeod is an American recording drummer and songwriter. He has been a member of Wire Train, Toy Matinee, and the “Tuesday Music Club” collective along with Sheryl Crow, the genesis of her album Tuesday Night Music Club. He has performed with many other artists, including Madonna, Tears For Fears, Seal, Chris Isaak, Melissa Etheridge, Pink, Christina Aguilera, Kevin Gilbert, Jewel, Stevie Nicks, Ziggy Marley,Rosanne Cash, Sara Bareilles, The The, John Hiatt, Grace Slick, and Joanna Wang. He is also a member of The Scrantones, the group credited for performing the theme to the American version of the TV show The Office (set in Scranton, Pennsylvania). His songwriting credits include: “Everyday Is a Winding Road”, “Strong Enough”, “A Change Would Do You Good”, and “Shine Over Babylon” with Sheryl Crow; “Waiting for Love” with Pink; and “Supermodel” from the film Clueless. MacLeod grew up in Sunnyvale, California. He attended Mango Junior High School in 1974/1975, and he later attended Fremont High School from 1976-1980. MacLeod currently lives in Los Angeles and the California High Desert. Rob Larkin’s homespun blend of Americana, roots rock, and soul brings you back. With a soulful vocal and guitar style often compared to artists such as Eric Clapton, John Mayer, The Band, and Tom Petty & the Heartbreakers, Rob’s music is infectious. Originally from Boston, Rob makes LA his home base, and regularly tours the west and east coasts as a solo performer, and with his roots rock band The Wayward Ones. Following his success as lead guitarist and vocalist for east coast and west coast-based bands, Rob recruited some of the best musicians in LA to help record his much-anticipated album, Dogwood Roots. The result is a rich musical stew, with ingredients from righteous organ to down-home harmonica, and everything in between. As a testament to its timelessness, the title track “Dogwood” won the Americana category of the 2011 Show Me the Music Songwriting contest. Another of the songs “Sister Soul” will be featured prominently in the feature film Wingman Inc., coming to theaters in Fall 2013. The songs are receiving airplay at a growing number of radio stations across the US and the world, with the worldwide release of Dogwood Roots on Spectra Records in December 2013. Longtime bassist/songwriter/multi-instrumentalist PAUL ILL lists playing bass with the Willie Dixon Family at Mr. Dixon’s Los Angeles wake, tracking live with Tina Turner in a London studio and playing the Sunday Gospel music services while in junior high at the US Army Base Chapel in Munich, Germany as three definitive career highlights. Paul is currently a member of MATT SORUM’S FIERCE JOY and as a multi- instrumentalist and composer these days he is busy scoring for film and TV. “I am very excited to have just completed work with writer/director Rustam Branaman for his film, ‘Any Day’, featuring Sean Bean and Eva Longoria,” enthuses Paul. He has toured nationally and internationally with Linda Perry (whom he sites as a crucial influence and mentor,) Courtney Love, Daniel Powter, Wayne Kramer (MC5), Juliette Lewis, Mick Taylor (Rolling Stones) and Bill Ward (Black Sabbath) to name a few. His recording credits, many multi-platinum, include Linda Perry, Christina Aguilera, Robbie Williams, Celine Dion, Adam Lambert, Zoe Deschanel, Pink, James Blunt, Alicia Keys, Courtney Love, Annie Lennox, and Daniel Powter. He has written songs with many of the afore-mentioned and his instrumental compositions grace numerous films and television shows. ​In a city where stars are expected to shine bright, burn out and fade away, the stars that shine steady are rare. Dale Fisher is one such star. He’s a well-traveled musician who has written and recorded with John Mellencamp, conquered the Los Angeles local scene, climbed a mountain of soundtracks, recorded and performed around the world, and even penned a commercial jingle or two. Fisher, an Iowa native, transplanted to Los Angeles after musical detours around the country and all over Europe. Fisher offers a perspective that’s not common in the ever-changing, always- cynical music industry; he boasts an airy and buoyant, acoustic guitar-based sound, densely spackled around a farm-fresh foundation. He can, and has, impressed staunch Hollywood crowds and celebrity types with his dynamic lyrics about life and love, and he does so with a musical transparency virtually unheard of in a city where the neon nights of the Sunset Strip offer so little solitude to the bleeding heart of a wear-your-heart-on-your- sleeve singer-songwriter. George is a guitarist and songwriter currently living in Los Angeles. He attends Santa Monica College and is pursuing a career in music production. George grew up in the Washington, D.C. area where he studied blues and classic rock guitar. His deep appreciation for all music genres is evident in his unique songwriting style. Austin Colby plays “Zack” in “Warning.” His Washington D.C. credits include Arena Stage (Smokey Joe’s Café), Signature Theatre (Crossing, Spin, Lost Songs of Broadway: 1970s, Holliday Follies, West Side Story), Olney Theatre Center (Cinderella, Spring Awakening, and Forever Plaid), and Toby’s Dinner Theatre (Hairspray and Legally Blonde). Austin has also performed regionally at Cortland Repertory Theatre (Joseph…Dreamcoat), White Plains Performing Arts Center (Hair), and Papermill Theatre (On The Town, Smokey Joe’s Café, and Altar Boyz). He is a proud graduate of James Madison University where he received a Bachelor of Music, Vocal Music Education concentration and a Theater Minor. Brittany Martz plays “Caroline” in “Warning”. She is a Virginia-based actress who loves both film and theatre. Previous film credits include Malice: the Webseries (Alice Turner), Macabre (Elizabeth), and Escape (Hayden). She is a graduate of George Mason University from which she earned a Bachelors Degree in Psychology. When she’s not working she enjoys cuddling with her teacup chihuahua, exploring new restaurants, and testing muffin recipes. David plays “Ian” in “Warning” and is a DC based actor. Favorite past productions have been: Avenue Q, Spring Awakening, forever Plaid, How To Succeed In Business…, The Rocky Horror Show, La Cage Aux Folles, and Lyle The Crocodile. He will be playing Nate in the upcoming tour of Big Nate produced by Adventure Theatre this Fall. He is a graduate of American University with a degree in theater. Aaron is an actor, writer, and composer based in DC. Past acting credits include productions with The Second City, Woolly Mammoth Theatre, Folger, Signature, Theatre J, Forum, 1st Stage, and Olney. He is a founding company member of Pointless Theatre (2014 Helen Hayes Aniello Award) and a graduate of the University of Maryland, College Park.